Now, with the first statement, eat persimmons, this is pretty easy to do during November/December if you live in Europe. The shops are pretty much overflowing with persimmons and kakhi and the price is also pretty good. The only drawback with these delicious, sweet, juicy gems must be that they have their own agenda regarding ripening… It can litterally take weeks for them to ripen enough to be eaten. Preferably, they should be soft and goey when they are ripe, but if they are a non astringent variety, they can be eaten earlier. Secodly, to be planning the garden for the coming season is really exciting! I have just got a smallish pice of land, that up until now has only been a lawn, to call my own little garden from now on. 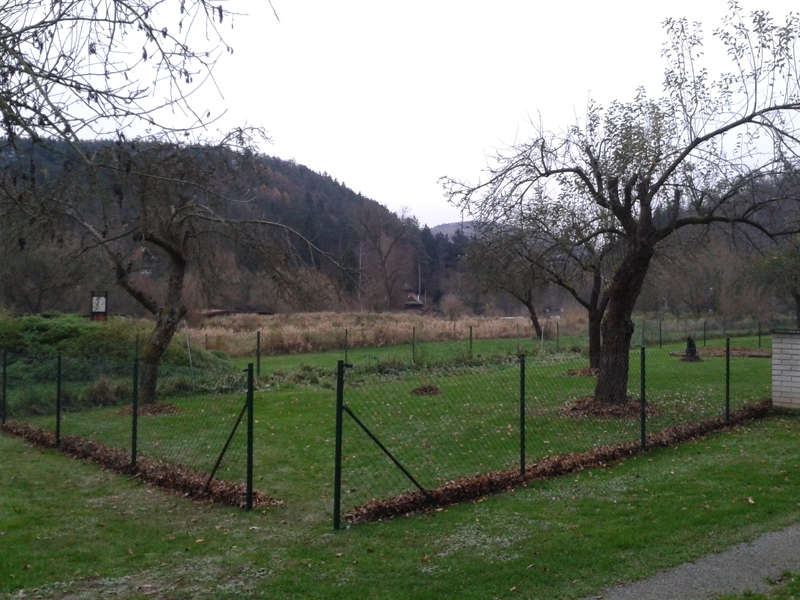 We have enclosed the area with some fencing, as there are a lot of people abouts here during the summer months, and also because of intruders such as deer or rabbits… I´m planning on growing vegetables, salads, melons, flowers and herbs there. The idea is that I will be doing it all with a NO DIG apporoach and will instead be MULCHING away, with whatever organic resources we have. It will be an interesting project, and I will update more as spring approaches. The future no-dig garden as today – pretty much just a lawn! The third thing to do during the cold winter months, is to just leave it all behind for a few weeks or months and soak up some sun in a tropical location instead. This way you will ensure to get your essential vitamin D during the winter as well. We have travelled to Thailand and South East Asia during the last winters and this has been a real “winter saviour”, as I can feel how essential it is to get sun on the body and eat some delicious tropical fruits, right where they were grown. 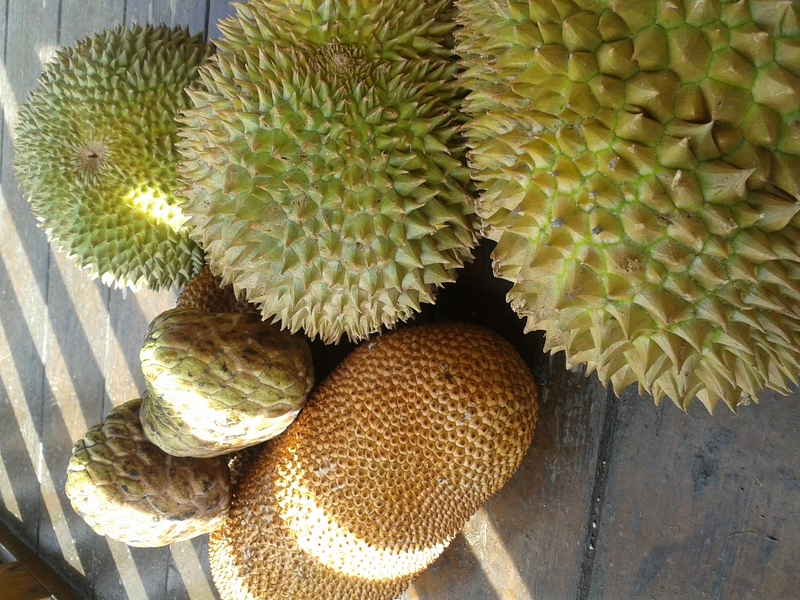 Both me and my husband are huge durian fans and we love to eat as much durian as we can during our stay in Asia. 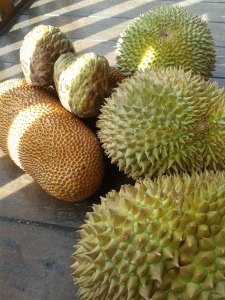 Some durians, chempedak and sugar apples from last year. We are sending you fruitful wishes from here at Czech fruitretreat and we hope you have a green, fruitfilled, vegan Christmas and New year! This entry was posted in Durian, Fruits, Gardening, Persimmons, South East Asia, Thailand, Travels by Alexandra Čechová. Bookmark the permalink.